Thank you, Rita, for having Trudy Brasure as your guest today. I enjoyed reading her post of comparison between the movie and the book. Like you, Trudy, I saw the film adaptation first and then read the book. I love both for varying reasons and many are the things that you pointed out as differences. I was sad about the first portrayal of John Thornton since it was inaccurate and led to him being possibly considered a violent man but it certainly set the stage for Margaret’s dislike of him. Yes, that kiss at the end would be the all time best in any Hall of Fame of kisses. I do not believe I have seen any on film that compare. I have read both of your books and enjoyed them. I hope you are or will be writing more. There just are not enough N&S variations/sequels to be had. I recently read one at C19 that had been suggested to me and I enjoyed it very much. 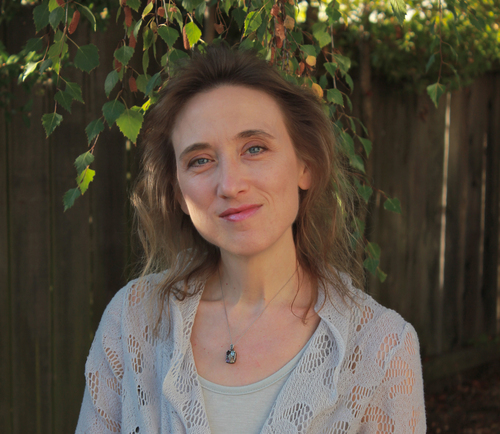 It was a pleasure to have Trudy here to talk about North and South! Thanks, Janet. Glad you enjoyed my post and doubly glad you’ve enjoyed my books. “Pack Clouds Away” is my favorite sequel to Gaskell’s book. It’s only at C19. I think the BBC has ruined any change of ever remaking a N&S adaptation in the future. They will never surpass the romantic ending they produced with the 2004 version! Great interview. Made me look at the movie through different lens! Thanks, I love to make people think about the story in new ways. I had read Wives & Daughters and North & South before I saw North & South. I caught some of the discrepancies, but not all. Frankly, I got caught up in the movie and stopped noticing. 🙂 I enjoyed Trudy’s guest post sharing the differences and the reasoning. Makes me want to go back and read the book again and then watch the movie. 🙂 I haven’t read a retelling, sequel or variation for N&S so I’ll have to add her books to the pile. I’m now curious. The movie is indeed captivating, which is why I actually recommend watching first before reading the book. There’s always time to go back to the adaptation after reading the book. Really enjoyed your article. I’ve seen the drama and started book (but sidetracked by others!) I realise that there has to be differences when adapting a book into a drama, especially when era has different principles/concerns than ours. Reading your analysis the scriptwriter has concentrated on conveying character rather than depicting society accurately, which, whilst making it accessible to the viewer. seemed to upset the critics at time of screening. Personally, felt the connection between Mr Hale and John Thornton did come across in the drama. To have Mrs Hale unhappy in Merton would have diminished her despair at the change of her circumstances and environment. Whilst I won’t argue about the emotional power of the final scene, my personal favourite is John Thornton standing straightbacked looking out of his window at Margaret departing in his carriage and willing her to turn round. “Look back, look back at me” is one of those sentences that gets carved in our memory isn’t it Denise? That is one of my favorite moments in the BBC adaptation, it was a powerful scene that really touched my heart. I love it! The “look back” scene perfectly capture the devastation Thornton feels with Margaret’s loss. This was a moment where the film is particularly brilliant in conveying the desperate emotions that Gaskell describes in her book. You pointed out everything I noticed and more. you also explained the way the viewer would have felt if they had strictly adhered to the book. The movie did get some things so perfectly that it was like she was describing Richard Armitage when she described John Thornton. The bracelet scene was described so beautifully that I almost cried reading it. Thornton had such love for Margaret and Richard Armitage absolutely captured it with each look and touch. Great comparison. Thank you! I agree, Richard was amazing in portraying Thornton. He conveyed everything Thornton was feeling without saying a word, most of the time. Thanks, Trudy and Rita, I greatly enjoyed reading this article. North and South is a great favourite (why, oh why isn’t Richard Armitage doing more films/roles like this????). I tend to like the books that inspired adaptations more than the adaptations themselves, but in this case I think I liked the film more. A lot of nuances from the book were sadly lost in the making of the miniseries, but I’m rather glad that a lot was glossed over too. And IMO ‘Look back! Look back at me” makes up for everything. Just perfect!! I certainly would have preferred the final kiss to be more private, that was truly scandalous behaviour 🙂 but it did make for a more dramatic ending. Looking forward to reading more N & S fanfiction, I haven’t read anywhere near enough! Thanks for reading. I think in the case of this adaptation and novel — they’re both amazing. I adore the way Gaskell lets us in Thornton’s head. I haven’t found a literary hero that can quite compare in his anguish. And then in the adaptation, we have Richard Ermitage’s perfect depiction of that tortured, lonely soul. Hope you’ll enjoy checking out my N&S variations. Ha! My auto-correct made Armitage into Ermitage? That’s just so wrong! I’m going to have to look up the N&S fanfiction. Because I just don’t have enough to read already! Thanks for such an interesting article. I think I’ll have to re-read the book and re-watch the dramatisation now. I’m one who found that violent scene in the mill rather disturbing as well. I realise that many who watched it hadn’t read the book but there ought to have been another way to depict the situation, such as the one Trudy suggests. Then there’s the scene at the railway station. Yes, it would never have happened and he would never have appeared so informally dressed in public but…….sigh! It’s absolutely gorgeous, especially the delectable Mr. Armitage. Still think it’s a shame he’s never got to portray Darcy. I think Armitage would be a great Rochester. He has that way of looking slightly ominous and desperate…. Great article! I found the story the other way around; I read the story first and then the adaptation was screened a short while later so I was really appalled to see Mr Thornton beating somebody as it’s something he would never do, he was too honourable for that. On the whole it’s a wonderful adaptation, (“Look back at me”… sigh!) but I am among the minority who doesn’t like the mini series’ ending. The kiss itself is lovely, but the setting is terrible, and the rudeness to Henry, somebody who Margaret considered as a friend is pretty callous. I was so disappointed that they’d done something which I felt was more made to modern sensibilities than in line with the behaviour of the period. Why couldn’t they just have kissed indoors?! Hi Ceri, thanks for reading. One of the things I especially miss about the film ending is that dinner scene in London when Thornton and Margaret haven’t seen each other in over a year. There’s a moment when Thornton looks at her and sees again his future without her and his face turns grave… gah!… the way Gaskell describes it makes my stomach clench for him! I like to imagine something of that same tender-passionate kiss demonstrated in the film is how they kiss in Aunt Shaw’s back drawing room in the book. Although I’m not sure how they would have stopped without that whistle! lol! Thanks so much for this. 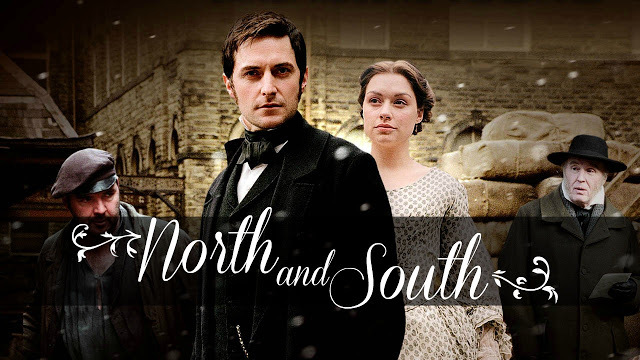 I just included North & South in the Period Dramas Streaming on Netflix – Victorian Era list. The story – in the book and the miniseries – is such a treasure. Thanks for reading. I heartily agree. North and South is a masterpiece — both film adaptation and the original novel. I love it when people stumble upon N&S at Netflix. I think that’s where most unsuspecting people find it. And when you do find it, it’s your solemn duty to tell every female acquaintance of your discovery! And another take on the movie book comparison. Delightful to explore! Me too. Such a great find. I can’t believe I passed it on Netflix for a month or so, thinking it was the civil war miniseries. x.x I missed out on that extra month of watching! heheh. One of my fav. parts in the book that is not in the movie is when Margaret passes out in the hall and no one ever notices. Cracks me up every time! Yes, the miniseries doesn’t like showing Margaret as “weak.” But I think showing what she endures actually shows her amazing strength. The book conveys so much more about what she goes through. Yes! I so relate to having to be the “adult” in the house even though she is the daughter. Poor girl she has to do and deal with all of her family’s low spirits and fear of confrontation and criminal activity! I think in the movie she came off (at least at first) as a spoiled brat! Glad I read the book for the background. 🙂 great article ! Thank u!